For additional information about this book, visit the website WriteReadTalk.com. What if you came home from work, saw yourself through the window of your own home, and stupefied by this development, walked away to think it over? What if you realized the other “you” doesn’t know there are now two versions of the same person? And even more weird, you discover the “new you” is actually two days back in time? 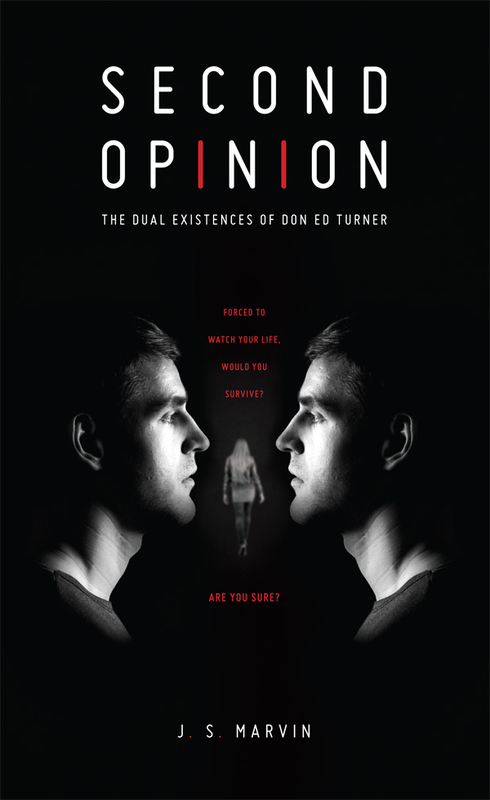 That is the predicament in which Don Ed Turner, a chauvinistic, egotistic, self-proclaimed ladies’ man finds himself in Second Opinion, a novel of forced, painful, but often funny self-discovery. Second Opinion includes elements of science fiction, mystery, and misguided romance, but is primarily a novel about unwanted self discovery. What might we learn if we were forced to follow ourself around and to watch, listen, and think about how we act, and how others react to us when we don’t see them? What might we want not to learn? What should we do with this new information? Although Second Opinion is a mystery centered on a selfish jerk, most readers will have experienced the misguided egotism, arrogance, and selfishness of Don Ed and the effect on others that result from his behavior. Women, in particular, will relate to how Don Ed’s inflated view of himself affects his girlfriend, Stephanie, who is out of patience. Growing up, the author often heard his father's and great uncles' stories of fights, feuds, and difficult lives lived in a past era. Like his ancestors, the author has worked many jobs: gas station attendant, farmhand, bellhop, forklift operator, highway maintenance, photographer, teacher, corporate communications. His writing is a product of experience, extensive reading and a slightly off-balance storytelling process.